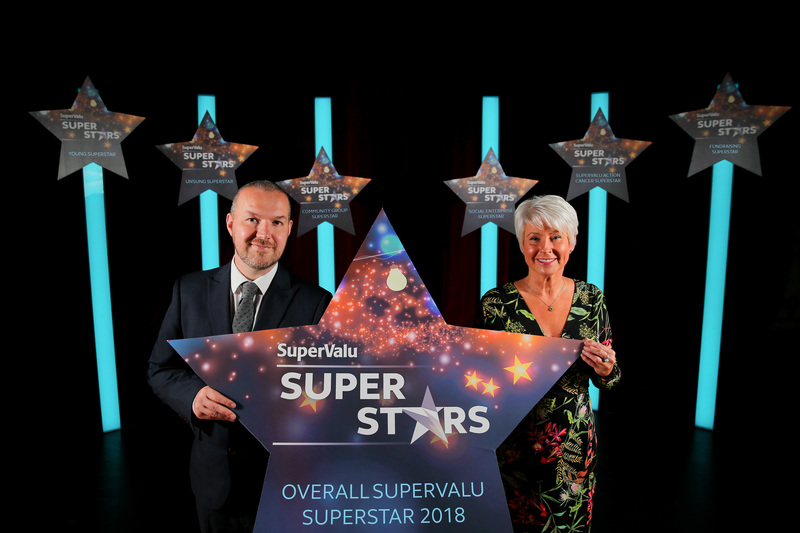 Stephen Bogle, SuperValu Brand Manager, said: “We are incredibly excited to start our search for Northern Ireland’s SuperValu SuperStars, once again. Finalists will attend a prestigious ceremony in Titanic Hotel on November 22nd, hosted by TV personality, Pamela Ballantine, and each will receive SuperValu vouchers. The overall SuperValu SuperStar will walk away with the winners trophy, a £1,000 prize and a £1000 donation to a registered charity of their choice. For further information and to nominate your local SuperStar, visit www.supervalu.co.uk. Entries close on 31st August 2017. SuperValu Brand Manager, Stephen Bogle and TV personality, Pamela Ballantine, launch this year’s search for Northern Ireland’s SuperValu SuperStars.